Co-op Money NZ has posted a $2.5 million annual loss and restated last year's financial results, which now also show a loss. 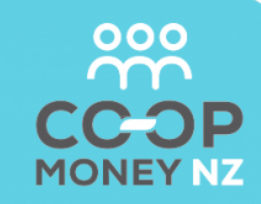 Co-op Money is the trading name for the New Zealand Association of Credit Unions (NZACU), which is the industry association for member owned credit unions. Its June year annual report shows a net loss of $2.512 million, and a restated June 2017 year loss of $104,000 versus the previously reported profit of $769,000. The restated results come after Co-op Money corrected an error in accounting for future funded premiums at Co-op Insurance NZ, the NZACU's insurance business. The restated results also mean Co-op Insurance's minimum solvency capital was below what was required under its Reserve Bank insurance licence at both June 30 2017 and June 30 2018. Co-op Money recently sold its non-life insurance business to Provident Insurance, and its life insurance business to Pinnacle Life, with the Reserve Bank approving the sales on July 23 and August 9. Co-op Money's 2018 statements of revenue and expenses and their restated 2017 equivalents, exclude insurance premium revenue and insurance claims and commissions. This sees 2017 total revenue net of interest expense of $16.525 million versus the $29.144 million previously reported, and total expenditure of $16.768 million versus $28.514 million. As of June 30 this year Co-op Money says its minimum solvency capital stood at just under $3.686 million at June 30 this year, and was recalculated at $4.555 million at June 30 last year, down from $5.248 million, versus its required minimum of $5 million. "The shortfall in calculated minimum solvency capital was rectified at the end of July 2018 with the ability for the company to recognise the profit on sale of the insurance book of business $2.465 million. This recognition was triggered by the Reserve Bank approving the sale of the Company's life and non-life insurance books," Co-op Money says. "With the sale of the Company's life and non-life insurance books, and the cancellation of a handful of remaining policies, the fixed minimum solvency capital amount required under the Reserve Bank solvency standard will shortly lapse." In terms of correcting the error in its accounting for future funded premiums, Co-op Money says this stemmed from a review done last November of its premium collection system that discovered an error in the policy cancellation process. "As a consequence, it was determined that insurance premiums of certain cancelled policies had been incorrectly recognised. The error has been corrected by restating each of the affected financial statement lines for the prior period as per the table below," Co-op Money says. Two of its members, Westforce Credit Union and NZ's biggest credit union First Credit Union, have stopped taking Co-op Money's business services amid a fallout over strategic direction causing a loss of revenue. And First Credit Union First is seeking repayment for the $5.4 million worth of base capital notes it holds in NZACU. On top of this, the Co-op Money driven introduction of a new Oracle Flexcube core banking system across some of its members is costing more than expected and taking longer than expected to implement. Against this backdrop Co-op Money commissioned an independent financial assessment from an accounting firm it won't publicly name, but interest.co.nz believes was KPMG, which highlights a number of issues impacting its financial performance, liquidity and capital base. Co-op Money CEO Henry Lynch left in April after nearly eight years in the role with chief operating officer Jonathan Lee stepping up to become CEO. Co-op Money is chaired by Massey University's Claire Matthews, who is also a director of member NZCU Baywide, one of NZ's biggest credit unions. Co-op Money says its members themselves represent about 190,000 members, hold assets of about $1.7 billion, have more than 80 branches, and employ some 480 staff. Co-op Money is both an industry representative and lobbyist for its members like the New Zealand Bankers' Association is for banks, and provides them a range of services such as core banking, data processing and support, debit card facilities and insurance products, plus a treasury function. The services are funded by credit union members investing in Co-op Money base capital notes. Co-op Money's members, non-bank deposit takers licensed by the Reserve Bank, include Aotearoa Credit Union, Caxton Staff Credit Union, First Credit Union, Fisher & Paykel Credit Union, NZ Firefighters Credit Union, NZCU Auckland, NZCU Baywide, NZCU Central, NZCU Employees, NZCU South, and NZCU Steelsands. Associate members are Heretaunga Building Society, Nelson Building Society, and Wairarapa Building Society.